Barack Obama surprised many observers before Christmas by announcing a broad relaxation of the trade and diplomatic embargo with Cuba. The move will see the US selling telecoms, farming, construction and other goods to its neighbour 90 miles away. And now, some US businesses are calling for a complete lifting of sanctions. But the path towards becoming a modern, technology enabled economy may have some bumps along the way after a half-century of being cold-shouldered by the late-20th century’s greatest economic force. Schmidt later backed up his words with action as Google made its Play store and Analytics service available in Cuba, although this was limited to free apps and the free version of the web traffic measurement tool. He also made strong calls for a knowledge economy to be developed in Cuba, describing the internet scene there as “trapped in the 1990s”. While many outsiders would wish Cuba well and welcome the end of the economic blockade, the country is in many ways a unique case. Although Cuba’s socialist education system has turned out a highly literate and numerate population, only a small number of Cubans have internet access and even then this access is usually limited to access via internet cafes or other shared systems such as university computers. Also the internet in Cuba is monitored and censored and very few citizens have internet-capable mobile devices, so skunkworks alternatives such as lashed together wireless mesh networks and the swapping of memory sticks prevail to serve the information-hungry. Software is predominately pirated or free. Internet infrastructure in Cuba relies heavily on Chinese equipment and, although the opening up of relations could give US makers a new market in a country with a population of 11 million, the thawing of trust and developing a culture of open access to unfettered information could take much longer. 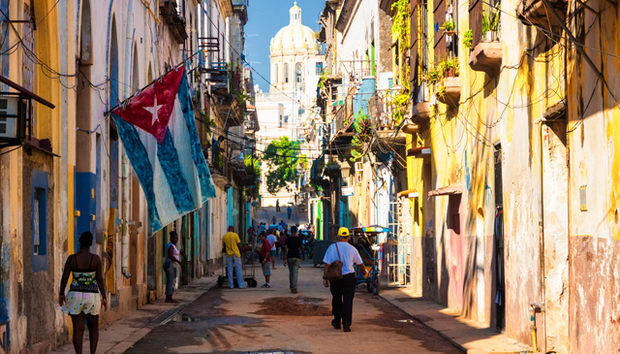 The Associated Press reported last year that the US had attempted to stir unrest and gather information in Cuba by covertly building a social network called ZunZuneo. The site was effectively blocked by Cuba and Josefina Vidal, director of US affairs at Cuba's Foreign Ministry, said the clandestine operation "shows once again that the United States government has not renounced its plans of subversion against Cuba, which have as their aim the creation of situations of destabilization in our country to create changes in the public order and toward which it continues to devote multimillion-dollar budgets each year." Cuba’s relative isolation has helped make its leaders wary of what happens when communications are liberated. Even attempts to build something approaching a free internet have been hobbled. Alcatel Lucent laid a submarine cable between Venezuela and Cuba in 2007 but data is, reportedly, inbound-only. Also, Cubans still suffer from an effective embargo on internet usage – price and the requirement to pay in dollars. This has led to a lively black market and access being limited to the powerful and those with the ability to create ingenious workarounds getting on the net. Some of these are detailed in a book, Capitalism, God and a Good Cigar, edited by Lydia Chavez. The progressive, optimistic view of technology is that it’s independent of ideology and offers people all over the world a way to benefit from automation, knowledge, information sharing, the global digital market and entrepreneurialism. In the long term there’s every opportunity for Cuba to follow this path, to become an outsourcing centre and host to interesting internet, software and hardware companies. The tech hub in Miami could also be a conduit for Cuban skills to be tapped by the US where two million citizens have Cuban roots. But the vexed modern history of the island means that it might take a little longer to succeed as countries like India and China have reinvented their economies. « If a third of jobs go to automation, what will replace them?